The following blog post was written by Lucy Gall, Summer 2015 Public Programs Assistant . 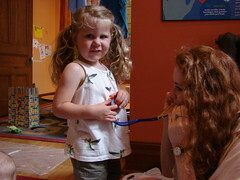 On Canada Day, the Museum of Health Care unveiled a new exhibit entitled “A Stubborn Illness” about the health of Sir John A. Macdonald and his family. When I first toured the gallery I was struck by the intriguing medicine prescribed to Sir John A. Macdonald’s first wife, Isabella Clark. Visitors seemed to share my sentiment and several have inquired why laudanum is no longer a popular treatment. Further investigation of laudanum and Isabella’s relationship with it reveals that though the drug provided pain relief, its side effects and risks far outweighed its benefits. In 1843 Isabella Clark left Scotland to join her cousin Sir John A. Macdonald in Kingston, Ontario. They married in September of that year and by all accounts enjoyed a happy and healthy start to their marriage. But in 1844 when Sir John A. went to Montreal for the first Parliament, Isabella fell seriously ill and barely recovered. The mysterious illness returned in 1845, and Isabella was never healthy again. Though she never diagnosed, the chronic pain Isabella experienced for the rest of her life often left her unable to move. Doctors that treated her diagnosed Isabella with hysteria, hypochondria, uterine neuralgia (any discomfort of the uterus, including menstrual) and tic douloureaux (pain of the facial nerves). Doctors and historians have retroactively identified the source of Isabella’s suffering as pulmonary tuberculosis, somatization, lupus, or multiple sclerosis. While we may never know exactly what ailed Isabella, we do know she was prescribed laudanum for treatment, and drank the liquid opium liberally until 1857 when she died a bedridden invalid. 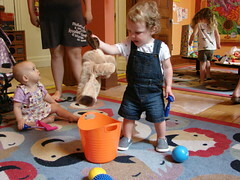 Though tragic, Isabella’s condition and toxic treatment were by no means exceptional. Opium was the most popular drug of the Victorian era, and laudanum flowed freely at druggists across the world until the First World War. The original recipe for the potent tincture is attributed to physician Thomas Sydenham, known as the father of clinical medicine. Sydenham’s tincture included two ounces of opium, one ounce of saffron, a drachm of cinnamon and of cloves, dissolved into a pint of Canary wine. Beginning in the 1660s Sydenham and other doctors prescribed drops of laudanum to patients complaining of everything from migraines to teething babies. The wine and spices covered up the bitter taste of the opium, making the dark reddish-brown liquid pleasant to swallow. 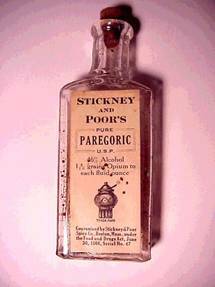 In the nineteenth century 25 drops of laudanum could be purchased for a penny, and every household had a supply. 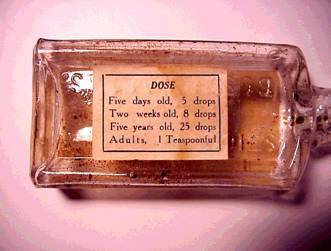 Due to the demand every drug store carried laudanum, but for inexperienced druggists this proved to be dangerous. For example, errors like cutting opium fresh from a damp lump rather than waiting until it had dried out, or careless weighing could result in a batch that was stronger than intended. Laudanum usage was so widespread in the nineteenth century that it is impossible to draw conclusions regarding why some people were able to take it occasionally for specific pain and others were completely addicted. However, one ounce of laudanum contained approximately one gram of opium, so even laudanum addicts like Isabella Macdonald taking two ounces of laudanum daily were dosing on less opium than injecting morphine addicts of the nineteenth century. 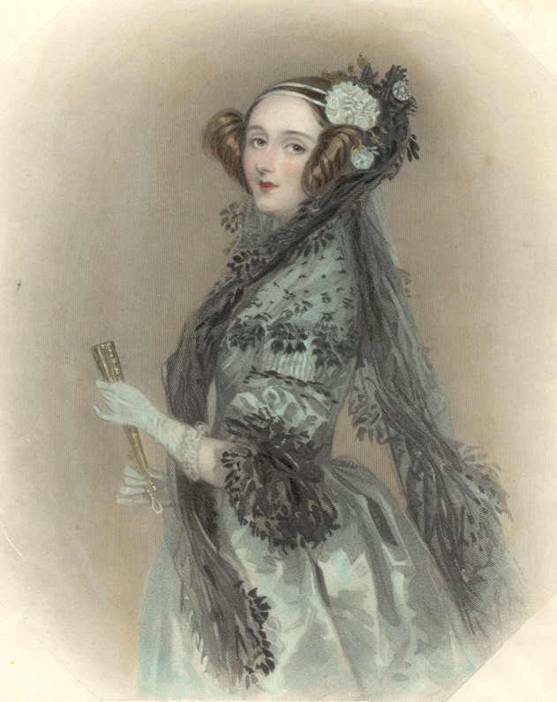 The diaries and letters of Lord Byron’s daughter Ada Countess of Lovelace who died a laudanum addict in 1852 provide insight into the sensation of taking the tincture. The Countess describes how the drug freed her eyes, making them cool and open. In his memoir entitled “Opium and Alcohol Compared,” an anonymous laudanum addict of the nineteenth century describes how for the laudanum user, “gentleness, kindness, benevolence, together with a sort of sentimental religionism, constitute his habitual frame of mind.” Scientifically, these sensations can be explained by the narcotic’s ability to produce feelings similar to endorphins. [ Once established in the brain, opium controls pain, coughing, and vomiting, creates feelings of euphoria, and puts the user in a state of wakefulness. Laudanum was frequently prescribed for relief of gastrointestinal symptoms. It was effective for this because opium freezes the muscles in the intestine, thus controlling bowel movements. The more accustomed an individual was to taking laudanum, the more they needed to take in order to feel the effects. By the time of her death in 1862, Isabella Clark was taking upwards of 20 drops a day, a substantial increase from the 1-2 drops for pain she was prescribed in 1844. In addition to being addictive, laudanum could also be fatal. Laudanum was responsible for more suicides by overdose than any other poison throughout the 1800s. Medical journals and newspapers were wrought with headlines of death by laudanum, though often it was unclear whether the overdose had been accidental or intentional. 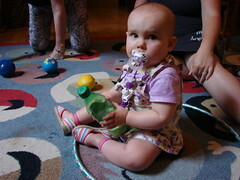 The headline of an article from the American Journal of the Medical Sciences published in 1849 reads, “Child Killed by a Drop of Laudanum.” The article explains that this tragedy occurred because the drop of laudanum was from a bottle that was over a year old and mostly evaporated, and what remained was almost pure opium. 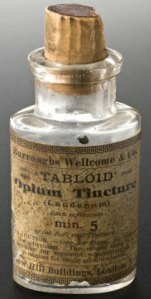 Ultimately, though it is easy to understand why Isabella Macdonald and countless others found laudanum provided great relief from whatever pain they were experiencing, because its active ingredients are wine and opium, prolonged use of the tincture has similar consequences for the body as alcoholism and opium addiction. Though we will never know exactly how good laudanum made one feel, we are undoubtedly better off without its addictive and potentially fatal relief today. 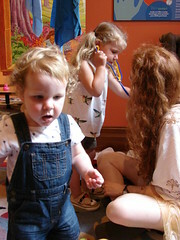 The Museum of Health Care would like to thank Dr. Jacalyn Duffin, Hannah Chair, History of Medicine, Queen’s University for supervising Lucy and Shaelagh, and the Queen’s Summer Work Experience Program (SWEP) for their support in the creation of these positions! Berridge, Virginia, and Griffith Edwards. Opium and the People. New York: St. Martin’s Press, 1981. Booth, Martin. Opium A History. New York: St. Martin’s Press, 1996. “Child Killed by a Drop of Laudanum,” The American Journal of the Medical Sciences 11 (1849): 554. Hayter, Aletha. “The Laudanum Bottle Loomed Large”:Opium in the English Literary World in the Nineteenth Century,” ARIEL: A Review of International English Literature 11 (1980): 37-51. 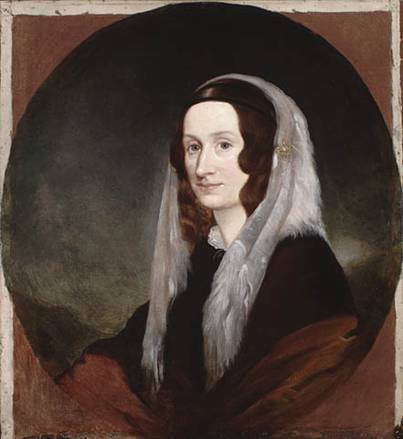 Hodgson, Barbara. In the Arms of Moropheus. Vancouver: Greystone Books, 2001. “Opium and Alcohol Compared.” In The Opium Habit. 207-224. New York: Harper and Brothers Publishers, 1868. Swainson, Donald. Sir Johm A. Macdonald: The Man and the Politician. Kingston: Quarry Press, 1971. Donald Swainson, Sir John A. Macdonald: The Man and the Politician (Kingston: Quarry Press, 1971), 35. Martin Booth, Opium a History (New York: St. Martin’s Press, 1996), 73. Virginia Berridge and Griffith Edwards, Opium and the People (New York: St. Martin’s Press, 1981). 29. Booth, Opium A History, 73. Aletha Hayter, “The Laudanum Bottle Loomed Large”:Opium in the English Literary World in the Nineteenth Century,” ARIEL: A Review of International English Literature 11 (1980): 43. “Opium and Alcohol Compared,” in The Opium Habit (New York: Harper and Brothers Publishers, 1868), 222. Barbara Hodgson, In the Arms of Morpheus (Vancouver: Greystone Books, 2001), 2. Swainson, Sir John A. Macdonald, 37. Berridge and Edwards, Opium and the People, 77. I, like Isabella, suffer from chronic pain, but my cause has a definitive diagnosis, multiple sclerosis, for which the only medications that work are opiate based, the ant convulsants, tri cyclics, anti inflammatories do nothing but make one a “zombie”, and thank goodness I have a physician not afraid to treat my pain properly.